The ITB originates from the top of the pelvic, runs along the outside of the thigh and attach to the outside of the knee. You can feel it when you are standing up as it stabilizes the hip and the knee while we are standing up. It attaches to two muscles, Gluteus Maximus (the buttock) and Tensor Fasciae Latae. 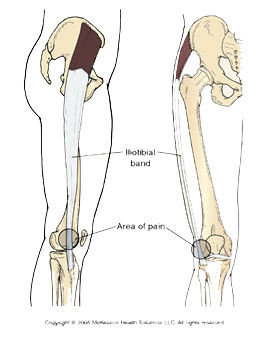 The ITB is thus connecting the hip to the lower leg from back to front. The ITB could be irritated by the prominence of the thigh bone in the last 30 degrees of knee extension, especially if the ITB is tighten up because of tight buttock muscles. Pain or tenderness happens on the outside of the knee in straightening the knee. For excessive pronation (high arches or flatfoot), the prominence of the thigh bone is protruded because of the induced internal rotation, which increases the chance of this injury and intensity of the symptoms. Stretching of the ITB is recommended. Foot biomechanics plays an important role on ITB syndrome. 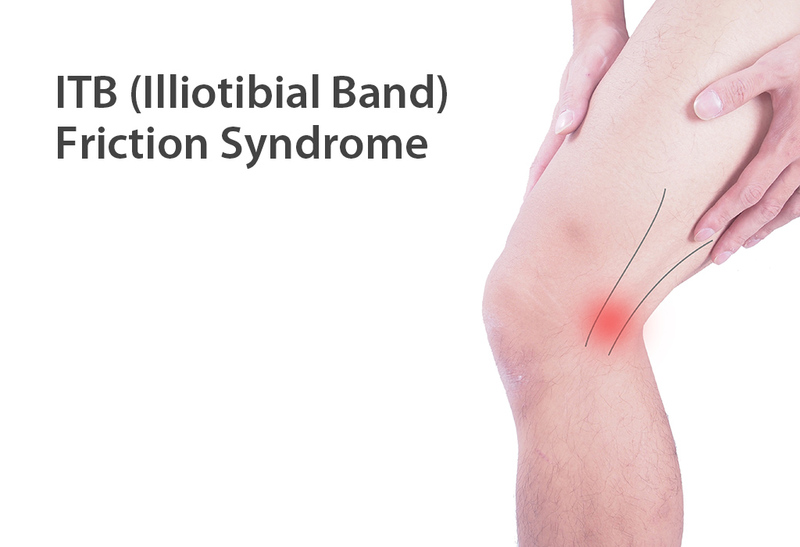 As the foot pronation causes excessive internal rotation of the leg and tigthen up the ITB, causing more irritation against the prominence on the thigh bone. Asymmetrical pronation on both feet may induce leg length inequality that results in unlevel pelvic, which further affects the hip mechanics and worsen the pain. Stretching of the ITB in daily basis. 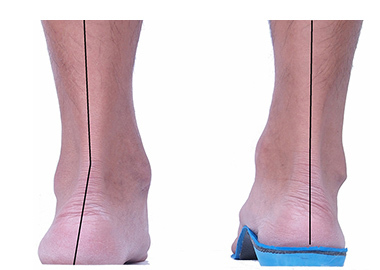 Biomechanics Insoles helps to reduce abnormal leg internal rotation and thus relaxing the ITB and reducing the irritation from the prominence of the thigh bone.